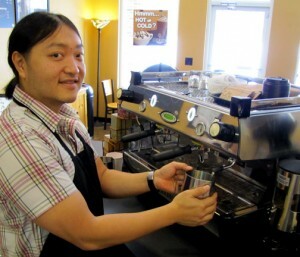 Mugs is a local, independently owned, coffee shop in the South Charlotte/South Park area. Just about everything from our coffee beans to our pastries, is from local North Carolina vendors. We proudly brew and serve Magnolia Coffee. We are all about supporting our local community. Come check out the local artists artwork.